Today I'm reviewing three different products that you have probably been hearing a lot about: Fusion Mineral Paint and General Finishes Gel Stain (Java) and Gel TopCoat. 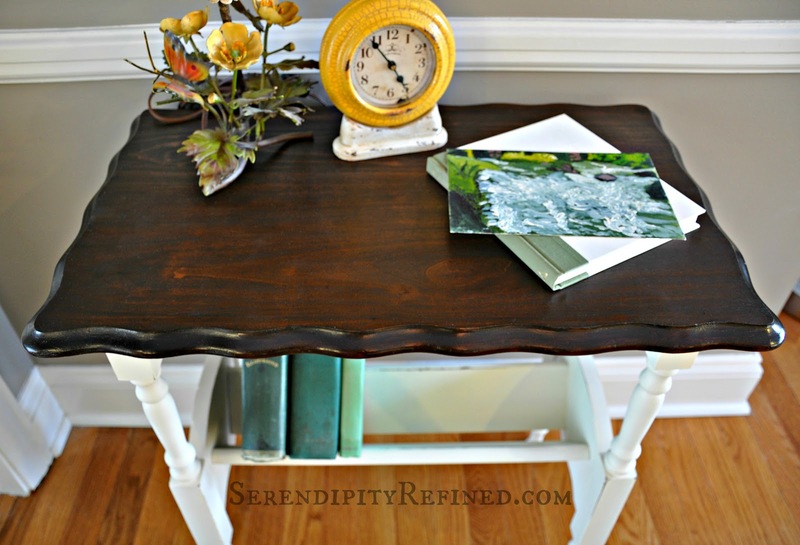 These are the products that I used to make over this sweet little book table for a customer. Disclaimer: I was not compensated nor did I receive product for this review. 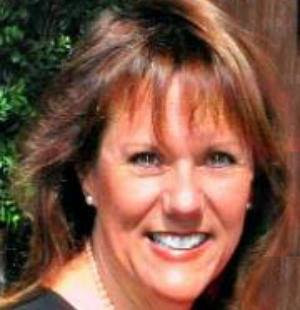 I regularly try products that I and my readers are interested in so that I can provide honest, experience-based information and guidance to customers and readers. This review is my experience with the products reviewed and is 100% truthful. First, let's talk about General Finishes. My relationship with General Finishes products began in the late 1980's when I was working in the paint department of a local hardware store. I was trained and certified by many different brands of paint and stain including GF, Minwax, Behr, Glidden among other major manufacturers. 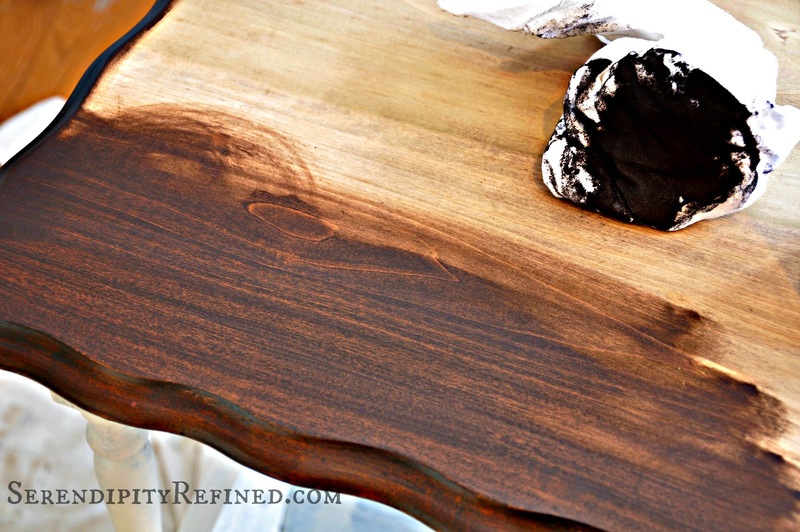 At that time, I also began to explore different ways to create new finishes on wood furniture that I had hauled out of a dumpster or roadside rescued to furnish my first home and I found that GF stain was easy to work with and gave me professional grade results every time I used it. Soon, it became my "go to" brand. Over the years, I've used both GF's water-based and solvent-based products. They have created an extensive line of professional grade wood stains and dyes, paints, glazes and top coats which I have used (and loved) for over 20 years. 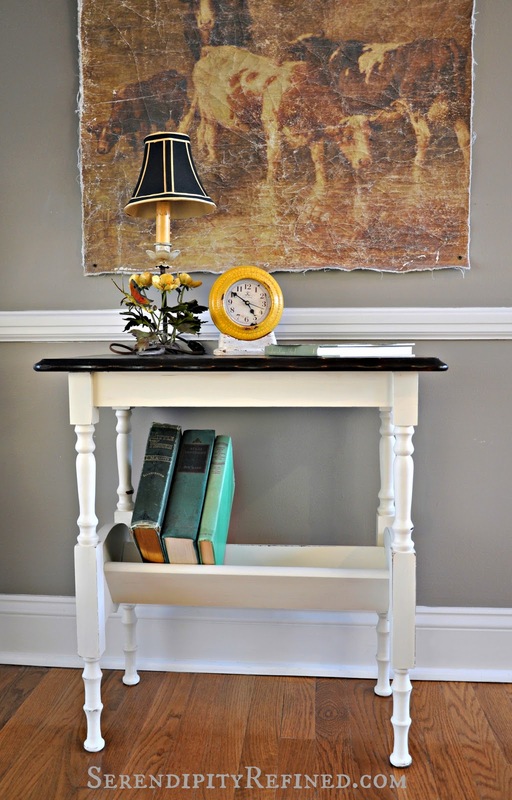 If you follow along, you'll see some of their products pop up again during the renovation of the farmhouse. For this project, I chose my favorite solvent based Gel Wood Stain: Java Gel with a satin finish gel topcoat. 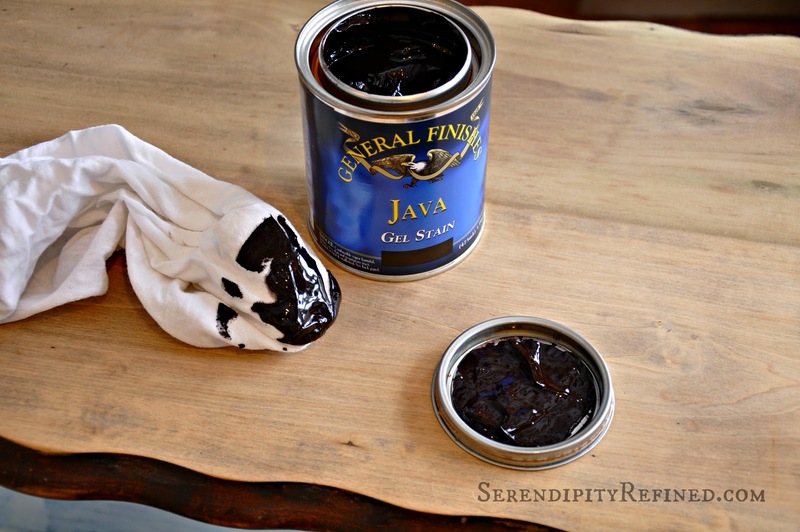 Java gel is the product that I use to create my trademark "natural wood top on painted base" reclaimed and repurposed furniture pieces. 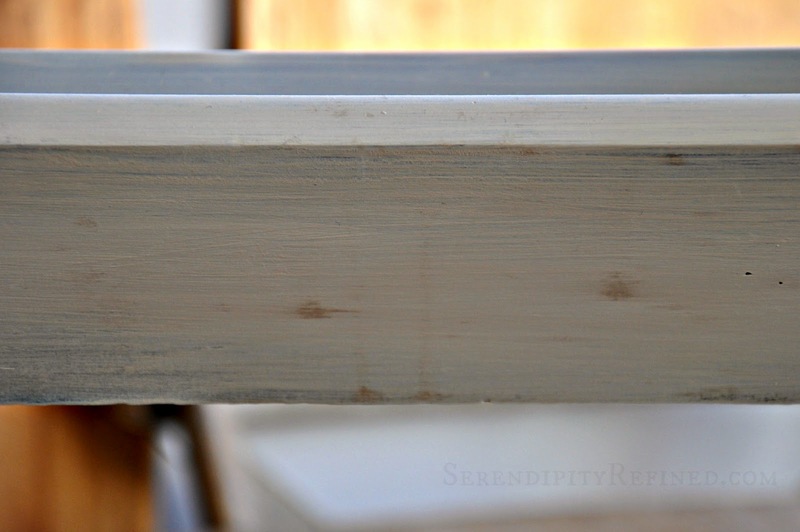 I also used it on the new wood doors in the rehab of my son's apartment and the new wood portion of the industrial pipe shelves that we built in 2014 as well as on the top of my very first Annie Sloan chalk painted dresser makeover from several years ago. 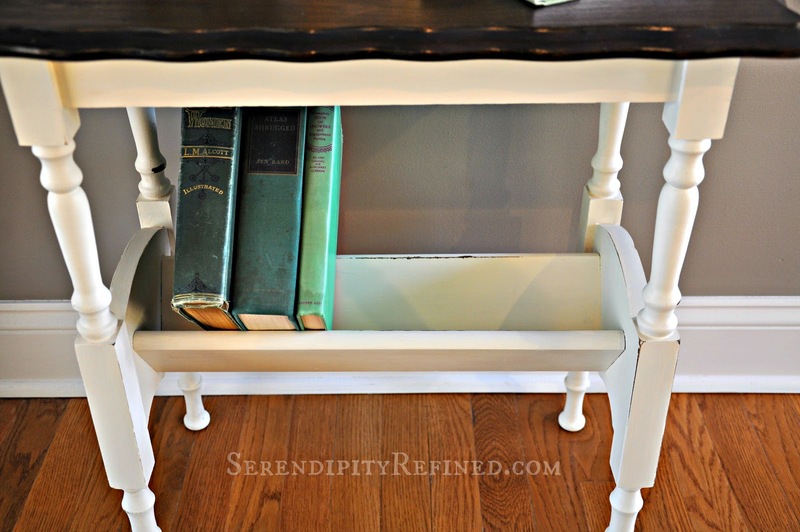 It's my favorite for repurposing and upcycling furniture. Preparation is straightforward on both new and previously finished wood. Sand according to the directions on the can, remove dust and wipe on the finish (make sure to stir it well first). I like the fact that this stain is thick (almost like pudding) and can be applied with a soft cloth which means that there are no brushes to clean. I also like the fact it's poly-based which means that it doesn't really need a top coat at all but on dressers and high traffic pieces, I still coat them with gel topcoat. I also like the fact that they offer water-based top coat products. 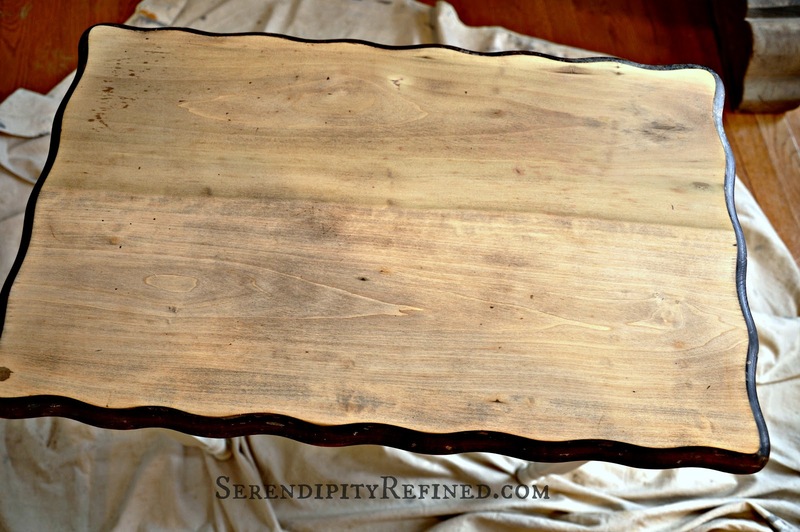 Just be sure to allow the stain to dry for 48 hours if you are using a water-born top coat over a solvent based stain. and always stir well and follow the application directions. 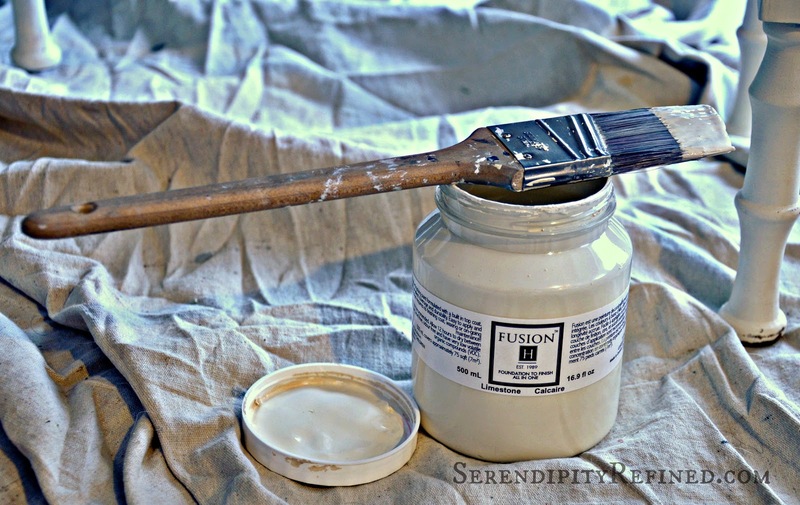 Finally, a few words about my first experience with Fusion Mineral Based Paint in "Limestone". Fusion is manufactured by Homestead House Paint Company. They're the very same company who manufactures their own line of milk paint as well as the popular "Miss Mustard Seed" brand. As I have said before, no one type of paint is perfect for every situation. Homestead house also realizes this fact and, to that end, they have developed an acrylic based paint for furniture painting and decorative use that requires very little prep (I simply sanded this piece with a sanding sponge prior to painting), is self-leveling, has low VOC and, most importantly, REQUIRES NO TOP COAT! This means no waxing or polyurethane. The photo above shows some bleed-through after the first coat of paint. Initially, I was worried but I allowed it to dry for 12 hours per the manufacturer's directions, and recoated without issue. 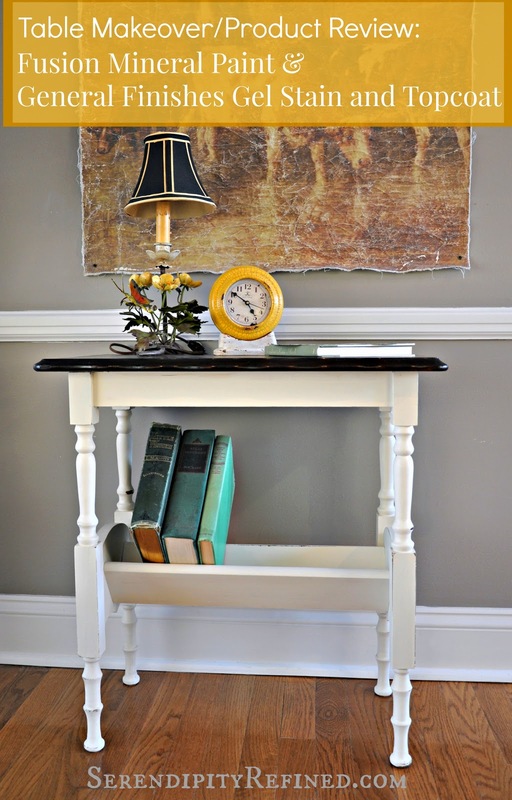 Painting with acrylic based paint is different than painting with chalk or milk based products. This is because the pigment (color powder and minerals) is suspended in a polymer emulsion and protects the wood by sealing it or creating a "coating" on top of the wood (like nail polish does). 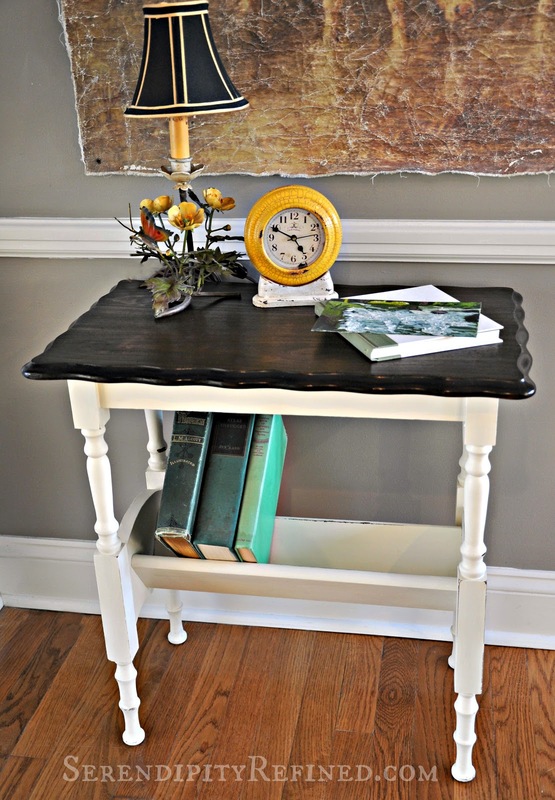 With chalk or milk products, the suspension is water and the pigment simply "sits on top" of the wood when it's dry and the water has evaporated. There is nothing to "hold the pigment together". This is why these products sand easily and will also wash right off even after it's dry unless you seal them with wax or oil that will help the paint pigment "bind" to the surface. 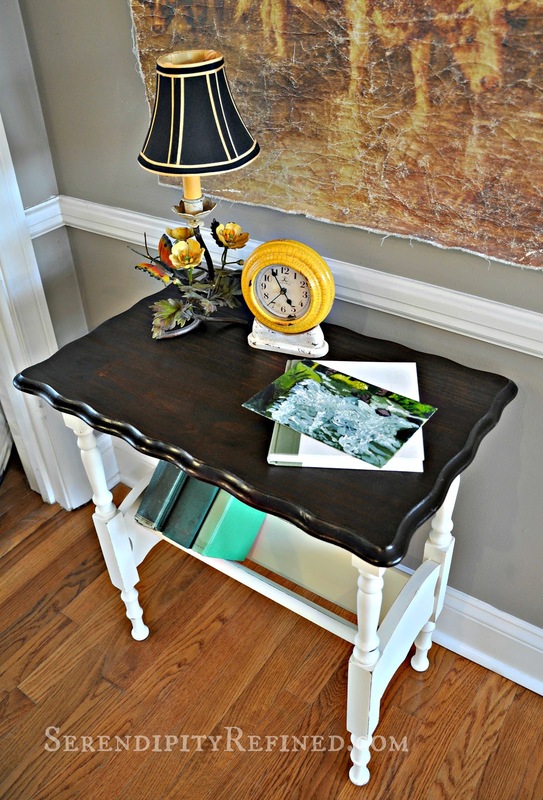 If you don't know what to expect or how to paint with acrylic paint, or if you expect it to "behave" like chalk or milk paint, you may be tempted to say that Fusion can't be used to create rustic, distressed finishes. This is simply NOT the case. Distressing when using Fusion should be done using a coarse cloth and/or damp sanding sponge before the piece is completely dry. Fusion mineral paint is perfect for creating satin finishes on both new and previously finished wood pieces with minimal prep and no top coat*. It is self leveling, covers dark colors in 2-3 coats, (be sure to allow it to dry 12 hours between coats), and it distresses easily before the paint is fully cured using a damp sanding sponge or coarse cloth. Oh..and the cost of Fusion? About half of what Annie Sloan or Miss Mustard Seed costs and it has a "shelf life" of seven years! *The manfacturer does recommend top coating distressed pieces but I have used them without top coat in dry locations. In summary, General Finishes Java Gel Stain and Gel Satin TopCoat are my go to products for professional grade results, easy application, variety of finishes and water borne options. I have used them on both new wood and previously finished wood for over 20 years with consistently remarkable results. Fusion Mineral based paint is economical, environmentally friendly and easy to use. 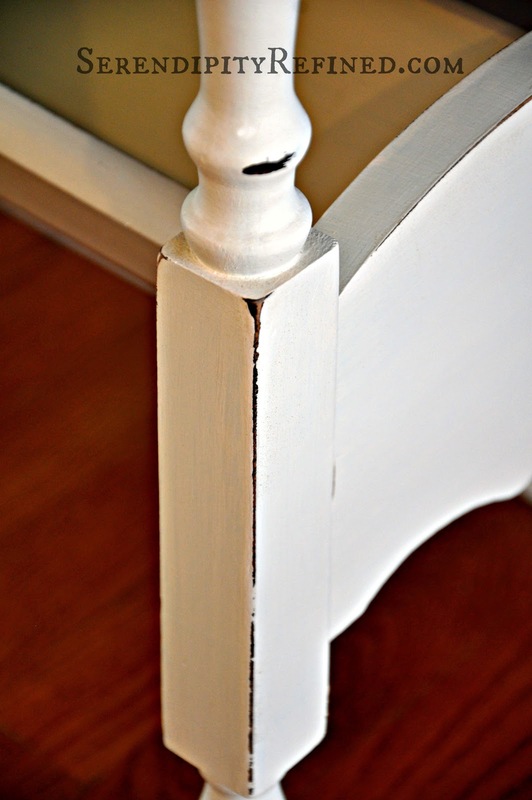 It requires very little prep, can be distressed easily and provides a gorgeous, level, satin finish with no top coat!